Viewing the sun at any time can result in lifelong damage to the retina. This is true of anyone who sun-gazes during the upcoming eclipse on August 21st, according to the ophthalmologists at Tulsa Retina Consultants. 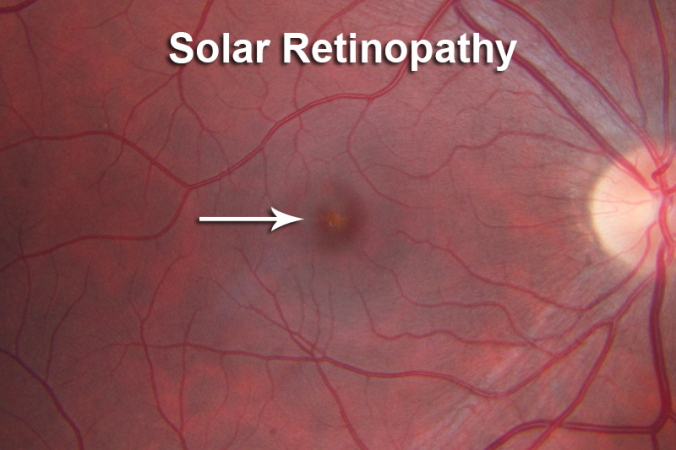 Solar Retinopathy is the medical term for damage that occurs when the retina is literally burned by the sun. The effects range from temporary vision loss and residual blurring to permanent blind spots. In the Tulsa area only a partial eclipse will occur, but the danger is not lessened. “Even a slight crescent sun, visible around the side of the moon, will transmit enough light to scorch your retina,” said Freisberg. 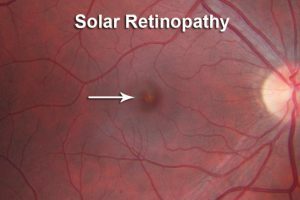 Dr. Thomas Finley of Tulsa Retina Consultants said, “Damage can occur after only a few seconds of sun gazing, but won’t be immediately noticeable because the retina doesn’t have any pain fibers.” Symptoms show up only hours later. The safest way to view the sun is to use a pinhole viewer. In this indirect manner, the eyes are never exposed to direct sunlight. Tulsa Retina Consultants, located at 2424 E 21st street in midtown Tulsa is committed to setting the bar for retina care throughout northeast Oklahoma. Earlier this summer, they became only the third practice in the United States offering cutting-edge treatment via the Navilas 577s laser.